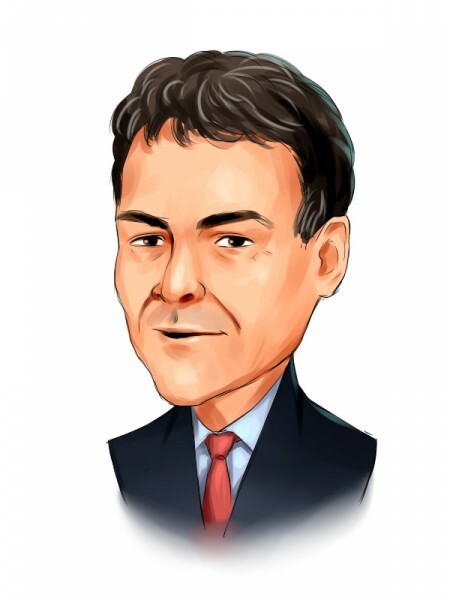 We have obtained the third quarter letter to investors of David Einhorn‘s Greenlight Capital and decided to take a look at some of the picks that the investor outlined within its pages. In the previous article we analyzed some of Greenlight’s tech picks, many of which significantly affected its returns during the third quarter, as well as year-to-date (see the article here). As we have already mentioned, Greenlight’s funds lost 14.3% during the third quarter. In this article, we will take a look at two of the new positions outlined in the letter, as well as one of its largest holdings and two stocks that Einhorn has shorted. See the third part here. Michael Kors Holdings Ltd (NYSE:KORS) was one of the new picks mentioned in Greenlight’s previous 13F filing. The investor reported ownership of 3.62 million shares. Einhorn initiated a stake after Michael Kors Holdings Ltd (NYSE:KORS)’s stock lost 25% on the back of a 5.8% decline in comparable-store sales reported for the first quarter. The company also shut down a distribution center, which caused a temporary halt in its e-commerce segment and customer interest also declined on the back of a repetitive winter product line. However, Greenlight believes that Michael Kors Holdings Ltd (NYSE:KORS) overcame those issues. “We believe KORS has multiple avenues of continued growth, including its international business and footwear. We established our position at an average price of $45.18, less than 9.5x March 2016 fiscal year earnings estimates net of the $4 per share in cash,” Greenlight said. Read on to see Greenlight’s opinion about General Motors Company (NYSE:GM), which represents one of its largest holdings, as well as two companies in which it has short positions, namely athenahealth, Inc (NASDAQ:ATHN), and Keurig Green Mountain Inc (NASDAQ:GMCR). It’s important to mention that Greenlight currently has short exposure of around 66%. Einhorn’s short positions are a separate story, since the investor only discloses them during interviews, at conferences, and in letters. Over the years, Einhorn has managed to make a number of successful short bets, such as his call on the Lehman Brothers’ bankruptcy. Navellier & Associates’ Top Tech Stock Picks Hedging in the Gold Miners Hedge Fund Limestone Value Partners Is Snapping Up These Declining Stocks Dividend Aristocrats Part 11 of 52: McCormick & Company, Incorporated (... Does Greenhaven Associates Have A Winner (Or Five) In These Five Stock Picks... What’s The Deal With These Stocks Getting Pounded Today?